You’ll have enough honey syrup that you can easily scale up this cocktail for a crowd. Combine honey and ½ cup warm water in a small bowl; stir until honey is dissolved. 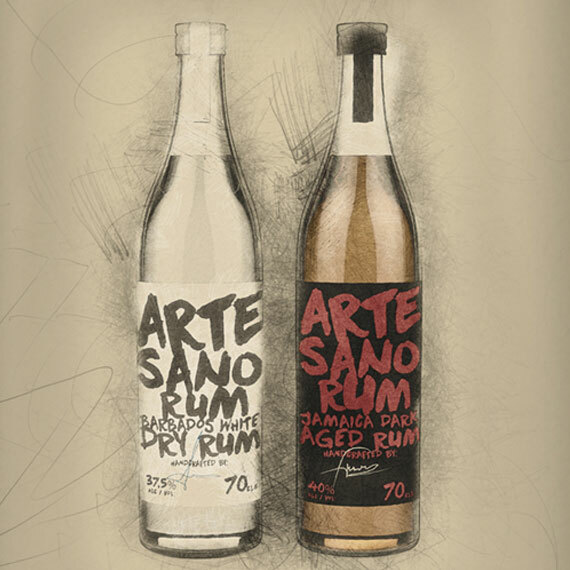 Combine ARTESANO Dark Aged Rum, apple juice, and ¼ oz. honey syrup in a cocktail shaker; fill with ice. Shake until outside of shaker is frosty, about 30 seconds. Strain into a rocks glass filled with ice. Top with Champagne and garnish with apple and mint. Recipe by Bon Appétit in partnership with Chef Watson.